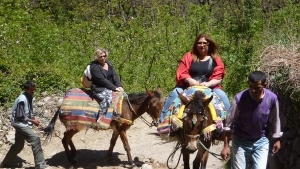 Start by car and continue by mule when we arrive higher up in the mountains at Imil. 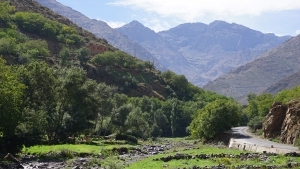 By car, follow the Ighighayne river through the Moulay Brahim Gorge to the market village of Asni. Continuing, we pass by Sir Richard Branson’s Kasbah Tamadot and the route becomes more and more spectacular with stone built Berber villages clinging to the mountainsides alongside steep orchards of apples and walnuts irrigated by mountain springs. 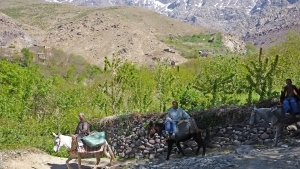 On arrival in Imlil (altitude of 1,700m) discover the village and then join our mountain transport (mule and muleteer). The mule trek starts by following water irrigation channels that pass through walnut groves and small Berber villages (douars) heading higher in the direction of Douar Armed (1,900m). 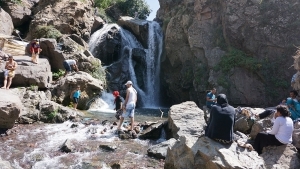 En route visit the waterfalls and encounter energetic walkers advancing towards Mount Toubkal until we pass above the tree-line and can admire the views of Douar Imlil below. 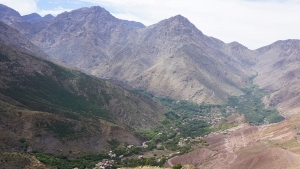 For the return leg, take either the route past the Kasbah du Toubkal or the higher route via Douar Tamatert. Please note that riding hats are not provided for the mule trek. We can also organsie a day trip to Imlil for those who would prefer to walk. This day excursion includes a picnic. We start the excursion by car, but when we arrive in Imlil we continue by mule. By car, we follow the Ighighayne river through the Moulay Brahim Gorge and continue until we reach the market village of Asni. We pass by Sir Richard Branson’s Kasbah Tamadot and the route becomes more and more spectacular. 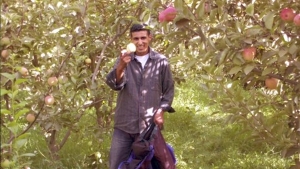 There are Berber villages built from stone clinging to the mountainsides and steep orchards of apples and walnuts irrigated by mountain springs. When we arrive in Imlil (altitude of 1,700m), we discover the village and then proceed to our mountain transport (mule and muleteer). The mule trek starts by following water irrigation channels and we pass through walnut groves and small Berber villages (douars) heading higher in the direction of Douar Armed (1,900m). Below Armed, we visit the waterfalls. We continue to Armed where we encounter energetic walkers advancing towards Mount Toubkal. 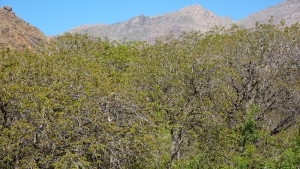 We pass above the tree-line and admire the views of Douar Imlil below. 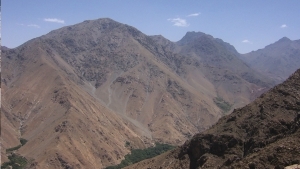 For the return leg, we either take the route past the Kasbah du Toubkal or the higher route via Douar Tamatert. Please note that riding hats are not provided for the mule trek. We can also organsie a day trip to Imil for those who would prefer to walk. This day excursion includes a picnic.